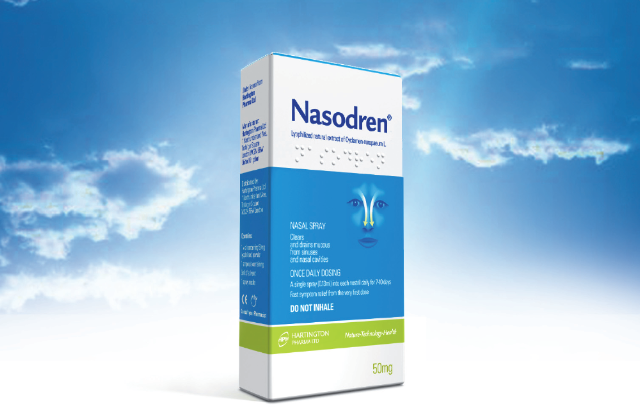 Nasodren for Sinusitis Treatment: Can Nasodren® be used after surgery? The study “Dynamics of the transport and heating function indices of the mucous membrane of the nasal cavity in the early postoperative management of patients with chronic rhinosinusitis” (Popovich VI, Staiden EB, Savchuck OI, Ukranian Rhinology, 2007; (3) 56-62), which included 110 patients with chronic sinusitis, demonstrated that the early postoperative management approach involving the use of Cyclamen extract results in an earlier normalization of the major physiological functions of the nasal cavity. Thus, Cyclamen extract provides rapid relief from "acute postoperative sinusitis". The study also concluded that the use of Cyclamen extract is safe and free from undesirable side effects.